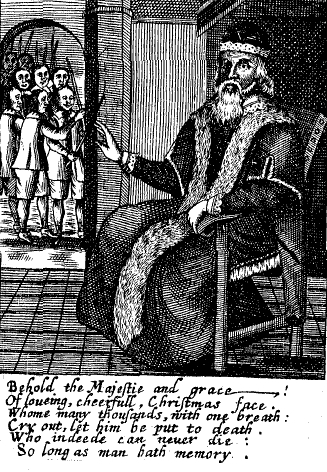 Parliament, ruled by the Protestants, outlawed Christmas throughout England in 1644, specifically citing the Christmas tree as a pagan symbol, and the associated drinking as sinful. It was demonized as being godless and Catholic. The concept spread Across the Pond, and was embraced in New England. Puritans in Boston and the Plymouth colony outlawed the celebration of Christmas in 1659, and the law stayed on the books for over 20 years (until 1681). 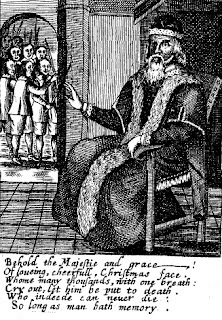 A five-shilling fine was to be levied against anyone "found observing, by abstinence from labor, feasting or any other way, any such days as Christmas." Town criers in some areas were said to walk the streets on Christmas Eve shouting, "No Christmas! No Christmas!" The laws against Christmas in England were lifted in 1660, but it did not become an official holiday until 1856. Schools continued holding class on December 25th until 1870.